If you have purchased a new or used car, you may have been soldGAP insurance. GAP insurance is usually purchased from a car dealership or auto insurance company. Purchasing GAP insurancefrom a dealership is the more expensive way to go. If your auto insurance agent does not offer GAP insurance ask about loan payoff coverage. When purchasing a car from a dealership, your GAP insurance amount is usually calculated in with the loan amount. If you purchase through an insurance agent, the GAP can usually be added to your current policy. This will raise your insurance bill up $20-$30 per year. Before buying GAP insurance it is important to know what it covers. If you are purchasing a brand new car, GAP insurance is the more beneficial add-on. GAP insurance covers the difference between the value of the car and what you owe on it. GAP insurance can be most beneficial if a car is totaled or stolen. Let’s say your car is totaled and the insurance company will only pay $12,000, but you owe $18,000, GAP insurance would cover the $6,000 difference. If you owe more than the car is worth, GAP insurance is the way to go. There may come a time that you would like a refund from GAP insurance. Your first step is to verify that you have purchased GAP insurance. If you sell or trade in your vehicle you are entitled to a refund. 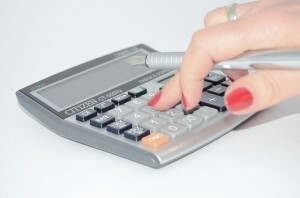 Tocalculate your refund, start by finding the insurance premium on your contract. Next determine the length of the loan. Subtract the number of months remaining on the loan from the total length of loan. For example, if you had a 30 month loan and you paid the vehicle off in 20 months, 10 is the number. Divide the premium by the lease term amount. This will tell you how much the insurance cost each month. Multiply the premium amount by the amount of time left on the loan. This will tell you the refund owed. Before applying for a refund, check your policy. Some GAP insurance policies do not allow for a refund.